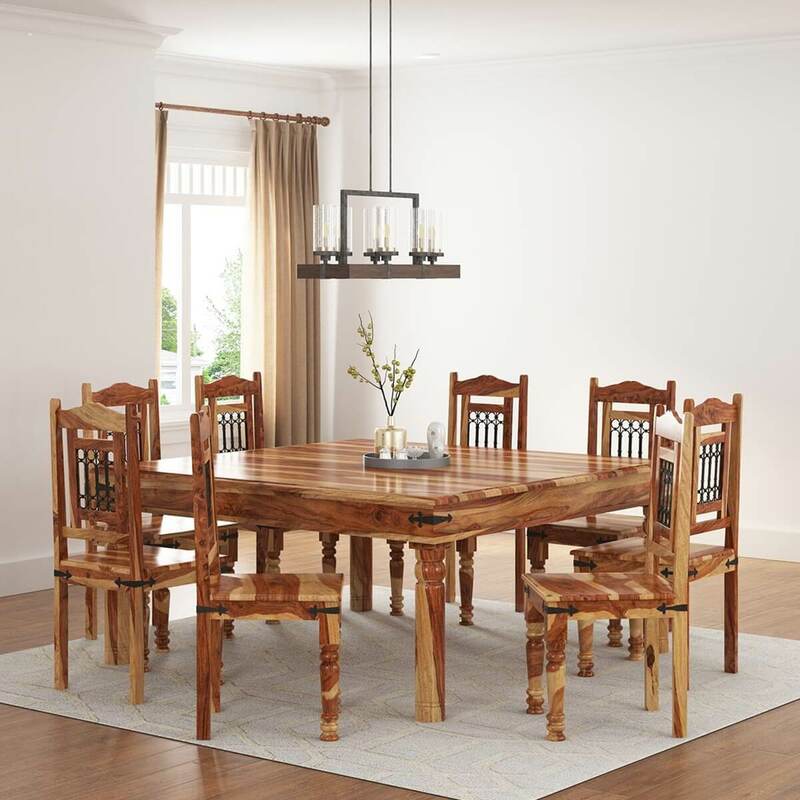 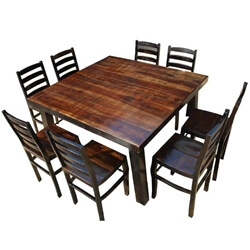 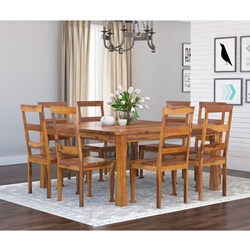 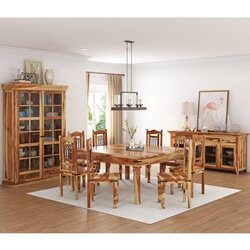 Make your dining experience Texas size with the Dallas Square Dining Room Table and Chair Set. 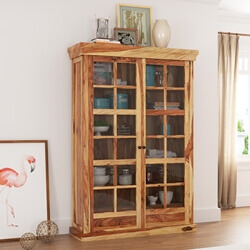 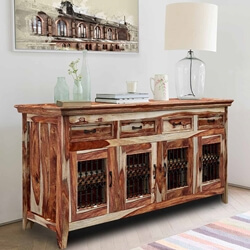 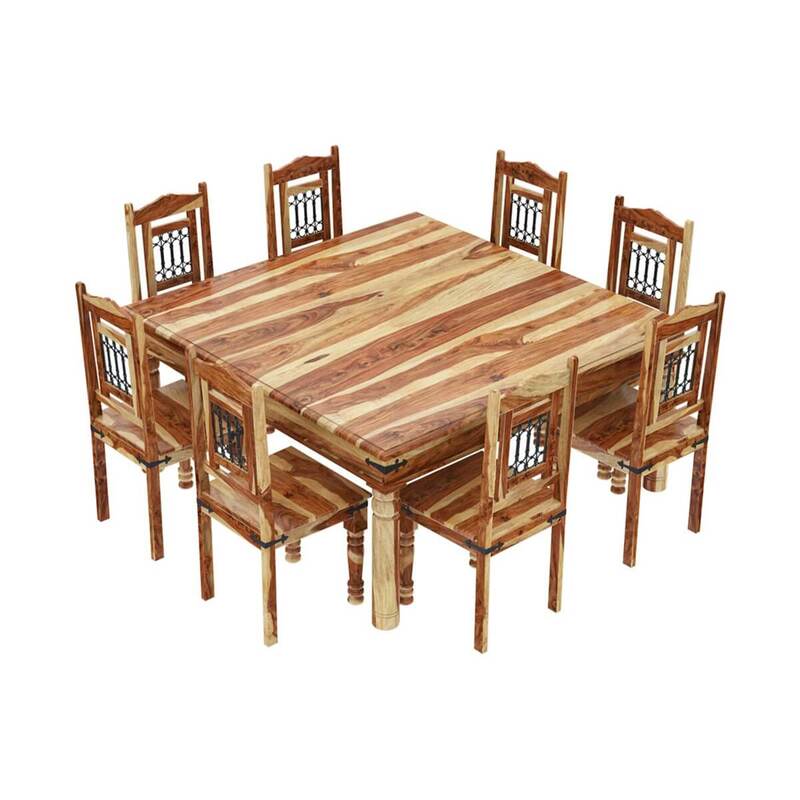 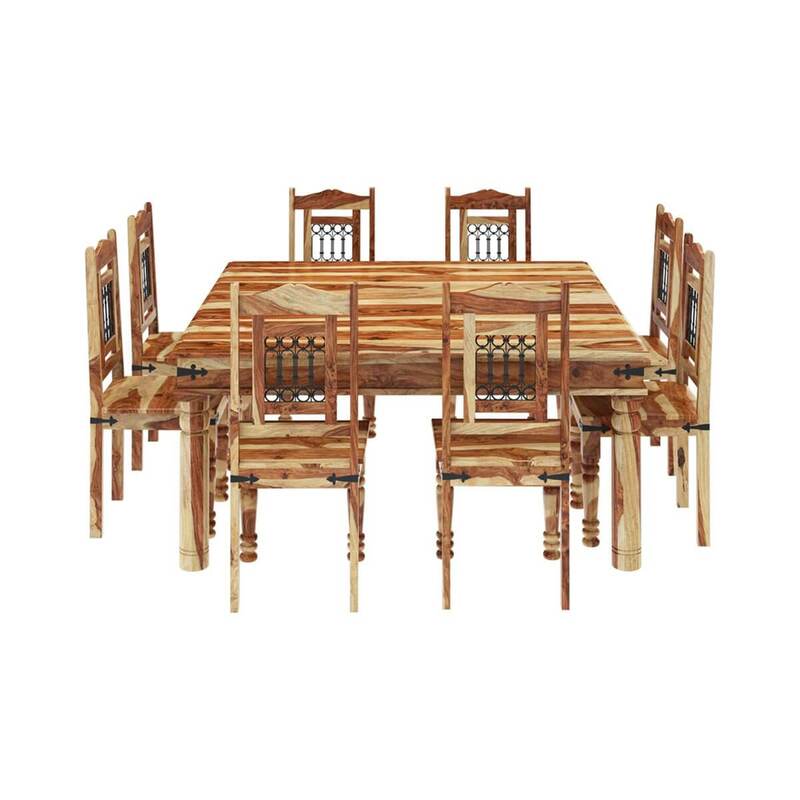 You won't feel fenced in with this extra large dining table made of Solid Wood. 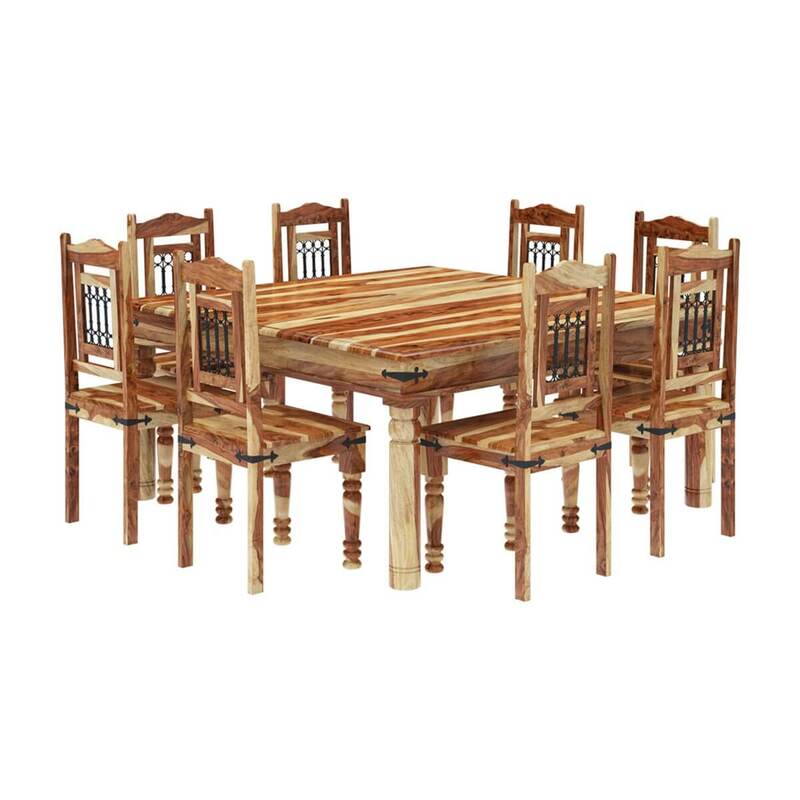 The set includes a table with classic column legs and chairs with Wrought Iron Grillwork set by hand. 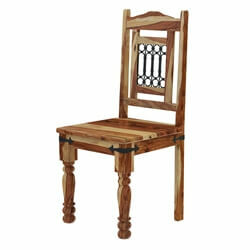 • Metal hinge details decorate and reinforce chairs and table. 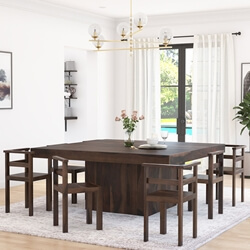 • Classic column legs on table and chairs. 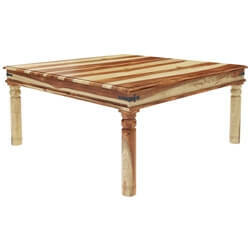 • Vandana style stain is applied by hand. 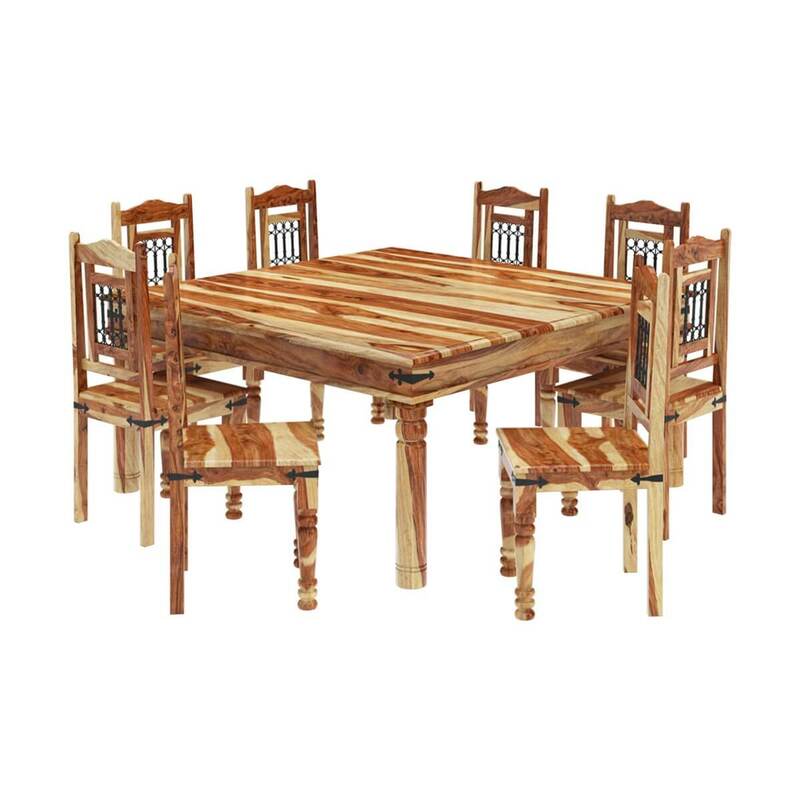 • Wood undergoes a special wax and seasoning process.